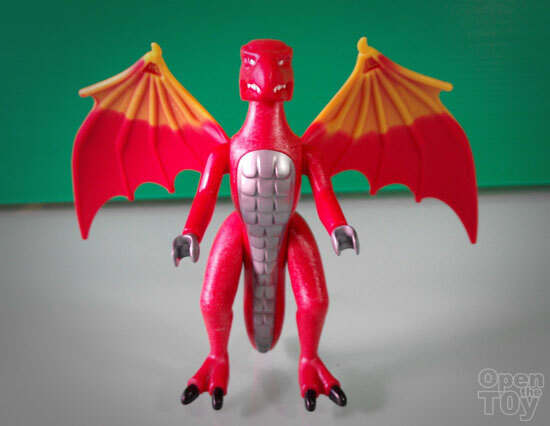 Today I am going to review one of the set from Playmobil Dragons series. 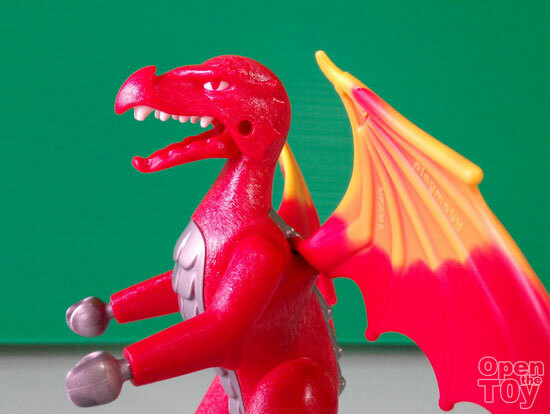 Particularly on this Red Dragons 5463 set. 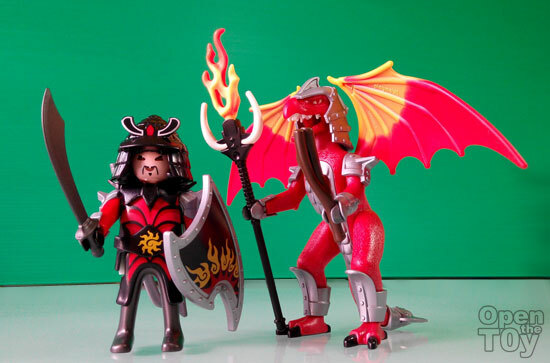 This Dragon set come with an armored human warrior and an armored Dragon. 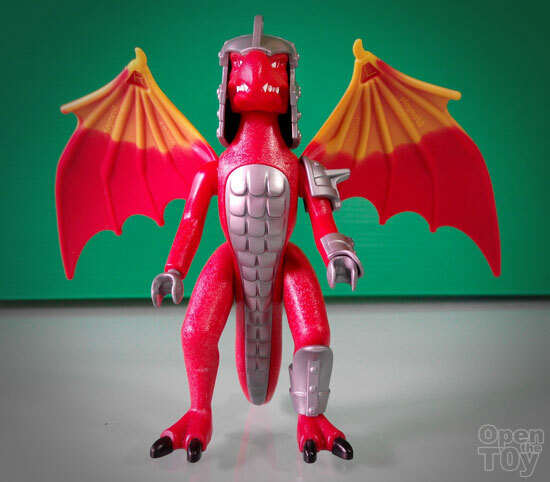 Let's look at the Dragon without any armored first. 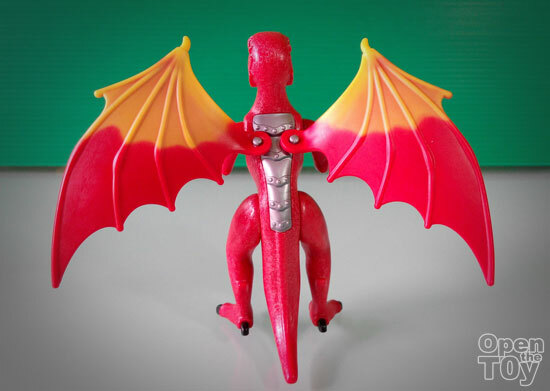 This dragon is cover with Red, Yellow as highlight that give a fire effects and silver. The dragon by itself look bald and quite funny to me. 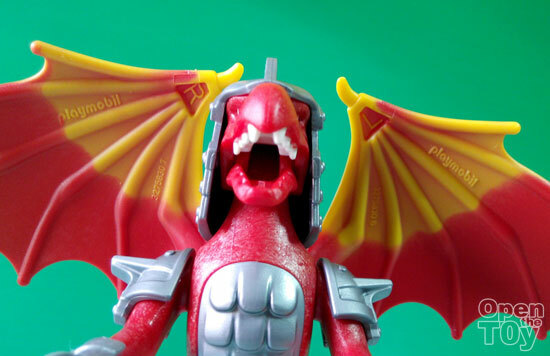 Although the head do not offer turning, Playmobil did do a good feature of opening the Jaw so you can get to see those sharp teeth. The wing do allow some articulation but no flapping movement to simulate flight. You can see there is some armor pieces on it chest and it's back. 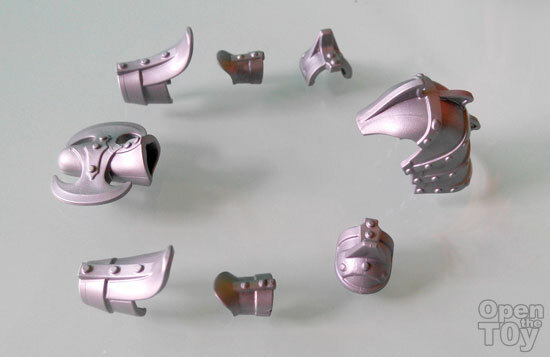 Talking about armored pieces, here are the number of armor that allow the player to dress the Dragon. Here's a half dragon with armored on one side. Franky the side with armor look better. 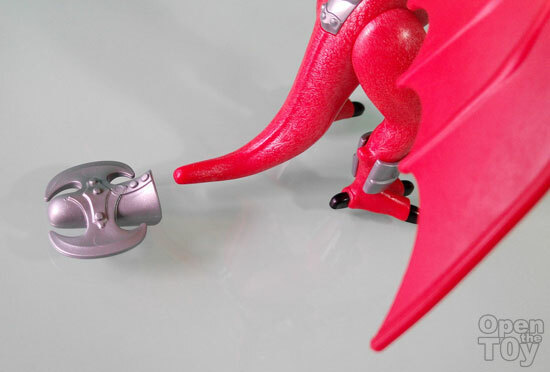 You can see the Playmobil logo was found at the inner side of it's wings. Oh the Dragon is roaring!! One neat feature was a tail can double as a weapon when you armed him with a double blade axe. Be sure to stay clear of it's tail now! If that was not enough, the Dragon was given another 2 more weapons that to be does not make sense. 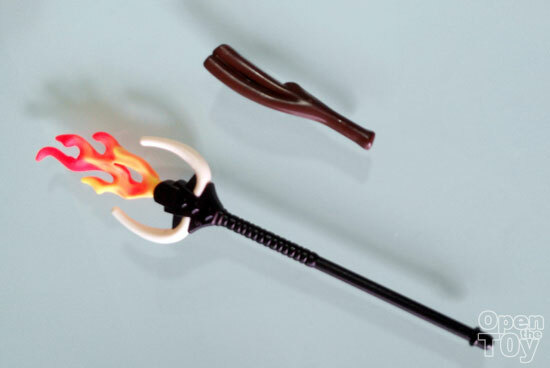 A fire staff and a wooden club. Why was the dragon given a staff? Is he a wizard or sorceress or something? And the wooden club. What good it is? This is a Dragon!! It's claw and it fire breath is good enough to fight any opponent. Does this picture look weird to you? Now the human which not many will care in away. 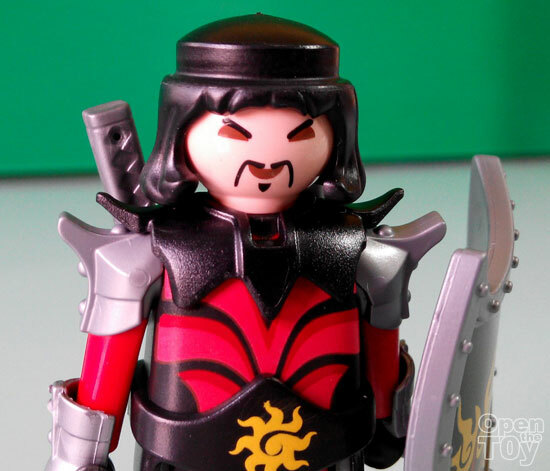 Instead of a traditional knight, it was given a oriental warrior. Why Oriental? Because it has oriental from the armor to the face of the human. 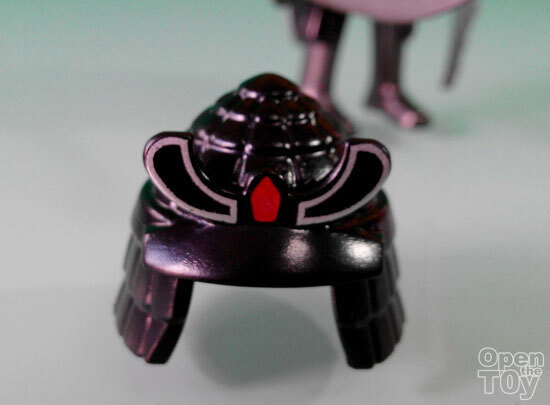 His helmet look like a Samurai helmet from Japan. 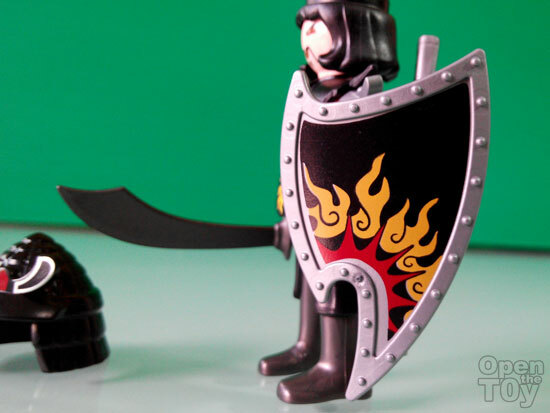 He has a full body shield which make sense to block the fire. 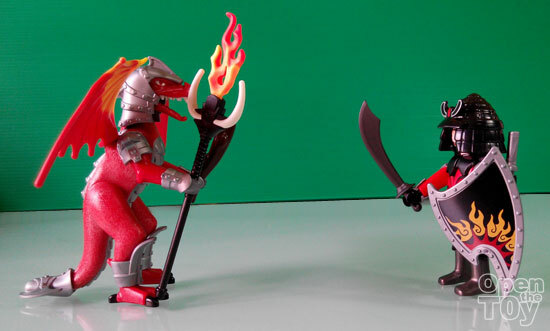 So here is the armored Dragon facing off with the warrior! Who will win? 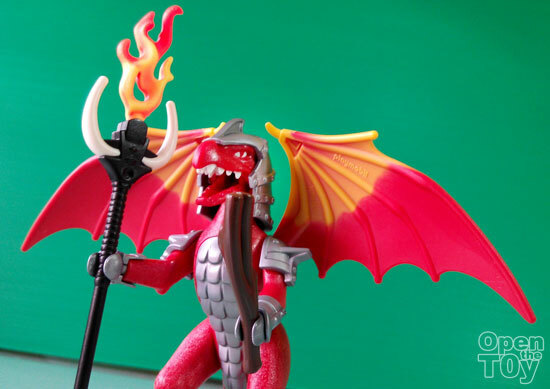 This is a interesting playset from Playmobil and fit in nicely for those who love dragons. However the size of the dragon may defer from much traditional readers who know about the dragon. 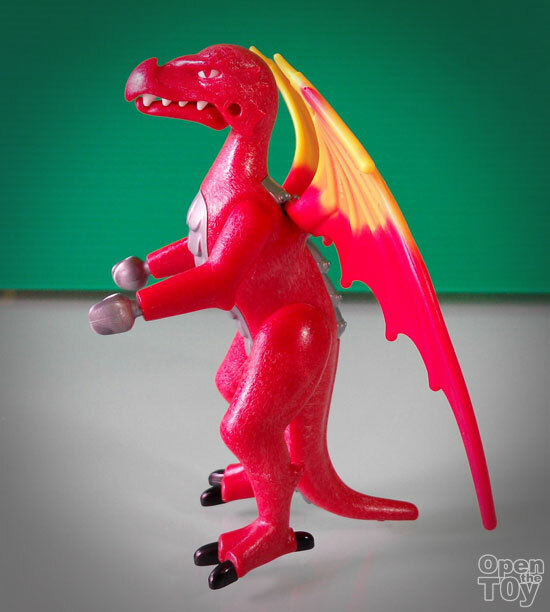 It's loses it sizes and hardly were times when people can accept a mini dragon which walk on two legs and dress in armor and also carry weapons like a staff and club. Due to curiosity, I bought it for the fun of it. 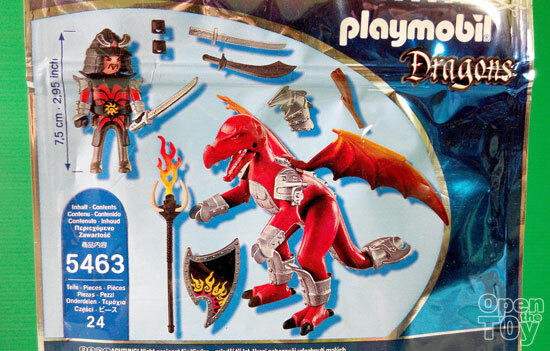 What do you think about this set of Dragon Playmobil? Does it look good?